Up until now there has only been one choice. Receiver or Transmitter. You stand at the store stuck in a bind. Which one do I take? Accessory Genie has heard your cries and we are pleased to present you with the GOgroove BlueGATE RXT 2-In-1 Wireless Bluetooth Receiver and Transmitter. 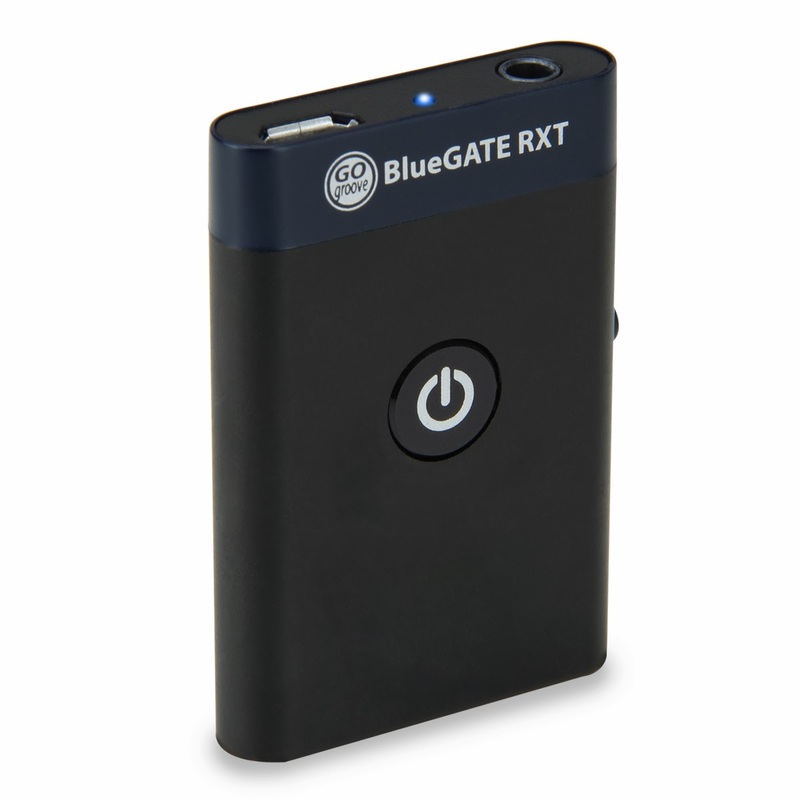 The BlueGATE RXT works as a universally compatible 2-in-1 Bluetooth wireless receiver and transmitter and is perfect for car stereos, headphones, laptops, and more. The RXT includes a 3.5mm audio cable, 3.5mm extension cable, RCA adaptor, Micro-USB, and Velcro mounting strips for easy setup and relocation. Too good to be true? It gets better. Starting Monday March 3rd, use the coupon code ‘RXTDEAL’ at checkout and receive an $8 savings and free shipping. Two function modes for less than the price of one?!?! Upgrade your Bluetooth now! The GOgroove BlueGATE RXT houses Bluetooth version 2.1 and A2DP / AVRCP protocols, allowing you to wirelessly stream your media from up to 33 feet away. The included 3.5mm and RCA cables make it possible to connect the RXT to a wide variety of devices. Use the RCA cable to integrate non-Bluetooth devices such as large speakers, soundbars, and stereo systems and use the 3.5mm extension cable to achieve ideal positioning and signal transmission. Use the micro-USB cable to connect to any USB port or adaptor and the RXT will fully charge in 2 hours and will last between 6 and 10 hours depending on the mode you have chosen. Operating the BlueGATE RXT is a breeze. Simply slide the button on the side of the device to switch between transmitting and receiving modes. The receiver mode of the RXT equips your car, home, or audio device with Bluetooth capability to wirelessly stream audio from your phone, tablet, or computer. Simply connect the RXT to the AUX line-in port or RCA ports of your non-Bluetooth device, push the power button and it will automatically go into pairing mode. Auto pairing occurs as a receiver for quick connections after initial setup. As a transmitter, the RXT allows wireless Bluetooth streaming from virtually any audio source that isn’t Bluetooth compatible. Connect the RXT to your non-Bluetooth device via the included 3.5mm AUX cable and pair with your tablet or Smartphone to stream audio wirelessly. Remember from March 3rd through March 10th use the coupon code ‘RXTDEAL’ at checkout to receive a discount and free shipping. Like all GOgroove products, the BlueGATE RXT is backed by a 3-Year Manufacturer’s Warranty.